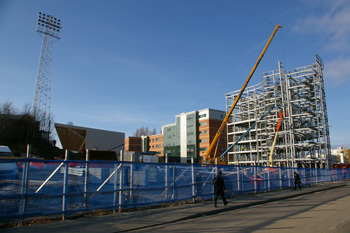 Wrexham is a town on the move. 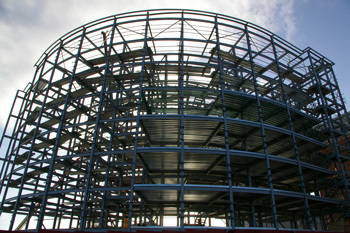 The pace of change has been incredible over the past ten years or so and it continues to accelerate, with major developments taking place both in the town centre and the surrounding areas. 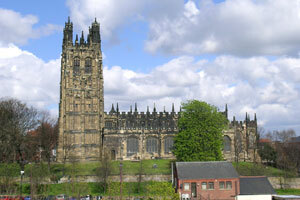 Just about the only landmark not to change its appearance is St Giles Church, which stands as proud as ever overlooking the town. 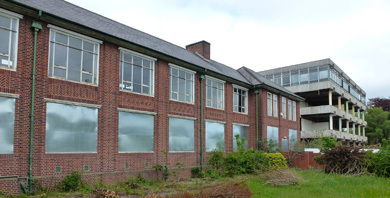 This website will tracks the changes taking place and retains pictures of the town as it was before the changes. It becomes more and more interesting with the passage of time, to remind us of what went before. We have no direct connection with this website but fully support the initiative being taken by Gareth Hatton of Businessline. 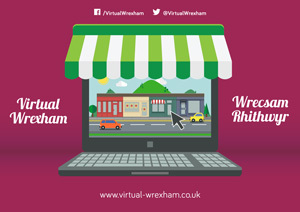 The website is a "virtual high street", designed to help you find Wrexham based businesses that sell online and support Wrexham and its businesses into the future. 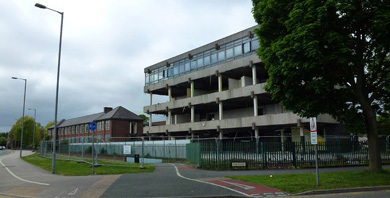 Whatever you think of Hightown Flats, it is a fact that they are an imposing feature of the Hightown area of Wrexham and their demolition is set to change the character of the area for ever. The pictures below were taken on Sunday 9th January 2011 and show no sign of their imminent demise. 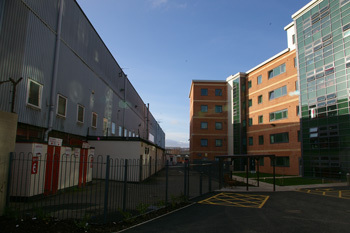 Located on Crispin Lane, between the Racecourse football ground and Yale Sixth Form College, the Wrexham Student Village development is the result of a partnership between Wrexham Village Ltd, Wrexham FC and Glyndŵr University. 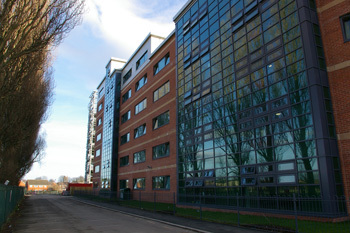 The first phase comprising 156 rooms was completed in September 2010. 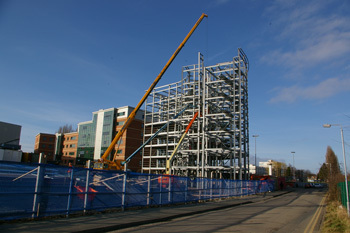 The pictures, taken 24th February 2011, show the completed block and the second block under construction. Photographs used in this website are © Oraica Ltd. unless otherwise stated.